When you love something, go to a Con about it. On Saturday, June 25 from 12 to 1 p.m., you’ll find culture editor Julianne Escobedo Shepherd moderating a panel called, “Jezebel Presents... Attack the Daddy: How Women Are Covering the 2016 Election,” during which we’ll discuss the particular challenges facing women writers in this year’s election—from an entirely new kind of sexism thanks to Donald Trump, Corey Lewandowski’s alleged assault of Michelle Fields, and, of course, the gender speak and misogyny that comes with having Hillary Clinton as the first female (presumptive) Democratic nominee. 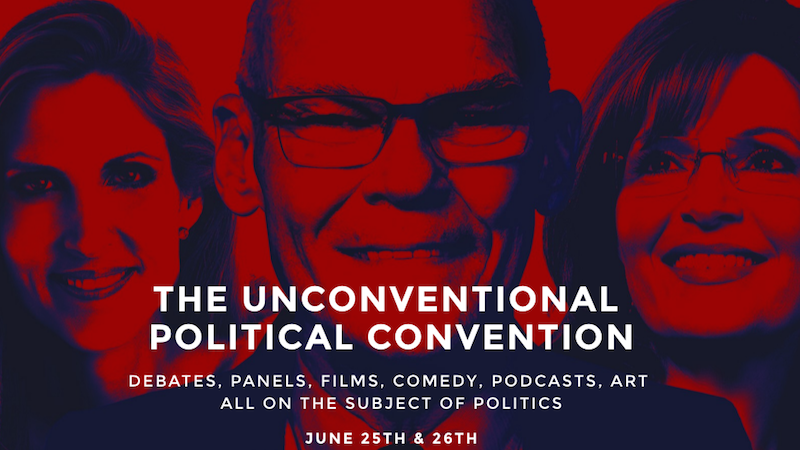 Panelists will include Jezebel staff writer Joanna Rothkopf (me), Nightly Show contributor and comedian Grace Parra, and Tomi Lahren, talk show host on The Blaze TV. Also at the Con: Wendy Davis, Lizz Winstead, and my mom, Sarah Palin. Tickets are available here. Enter the code “JEZEBEL” for a 25% discount for our readers.